Winery: Anthony Road Wine Company is a family run winery founded in 1973 by Ann and John Martini and located on the west side of Seneca Lake in the Finger Lakes region of New York state. At the time of founding the estate, John was employed by Cornell University at the Agricultural Experiment Station in Geneva, New York, and originally the vineyards were planted with hybrid varietals. Thru the years, all of the hybrids have been replaced with European grape varietals, and the estate now comprises 45 acres of vineyards. 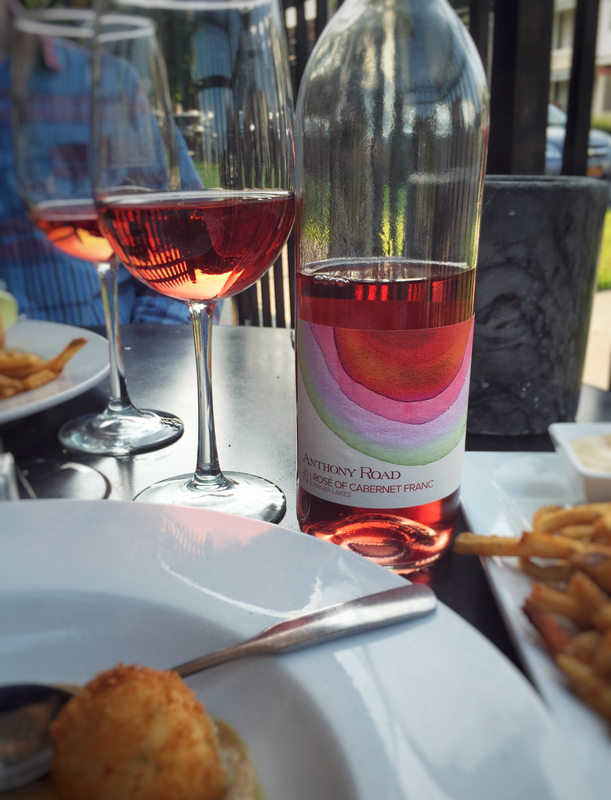 Tasting Notes: Watermelon pink in colour with aromas of summer strawberries and minerals. Parallel flavours of strawberry and clean minerals accompany the dry finish with hints of white pepper.